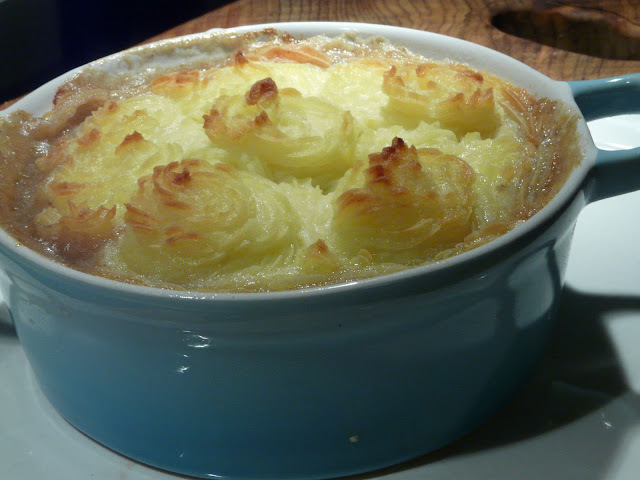 Shepherds Pie also falls into the category of Diner Food. And that is what we had for dinner on Monday night. 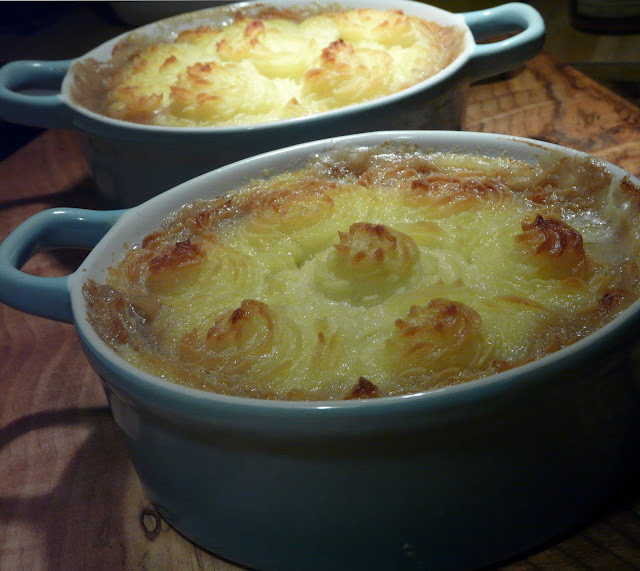 Rather than make a large Shepherds Pie I made two individual servings. My shepherds Pie is rather simple, seasoned with onions, celery, garlic and fresh thyme. Any other vegetables are served on the side not in the pie. This is how I make Shepherds Pie. Just a basic outline. It is all done to taste. Saute meat until browned. Add the chopped onion, garlic and celery. Saute until vegetables are tender. Season with salt pepper, thyme. Sprinkle with flour. Cook for a minute or two and add beef broth and Worcestershire sauce. Simmer for 30 minutes or so. 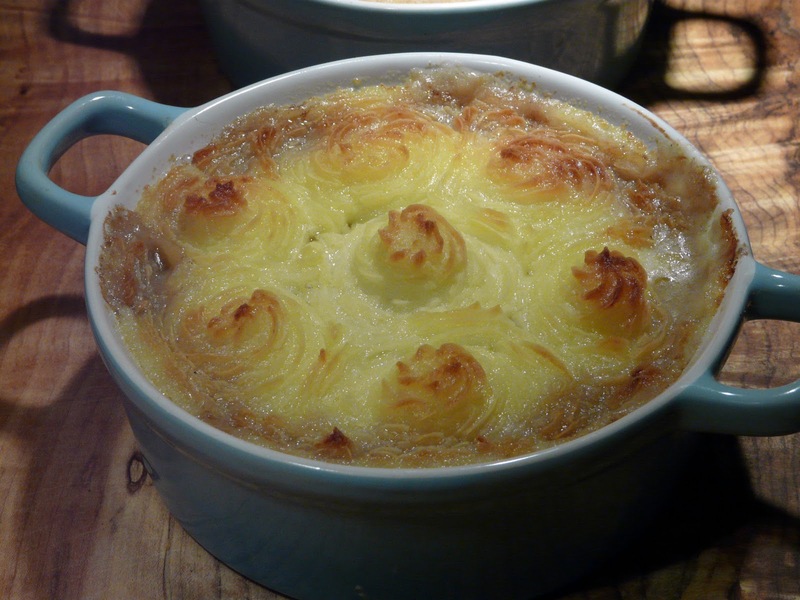 Pour into shallow casserole and top with mashed potatoes. Dot with butter and bake until golden. Dear Ann, that is exactly how I made my last Shepherd's pie, with piped mashed potatoes, and its rich sauce oozing through. That was 3 years ago. Why have I not made this since? Funny thing is, Sam and I were just talking about how much she missed this comforting dish. I do too. Maybe it's time for an encore. But I'll need to borrow your pretty casserole dishes. 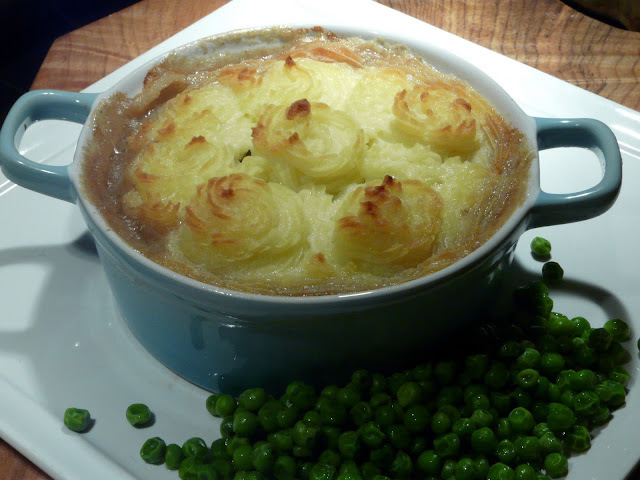 I'm a big fan of shepherds pie but have never had a pretty one before. Yours sounds and LOOKS delicious. We had this last night:) Yours is gorgeous..So pretty in those darling blue casseroles..the color combo is very very appealing. Add a creamy, decadent, homemade macaroni and cheese to that list and I am with you all the way on comfort food must haves. 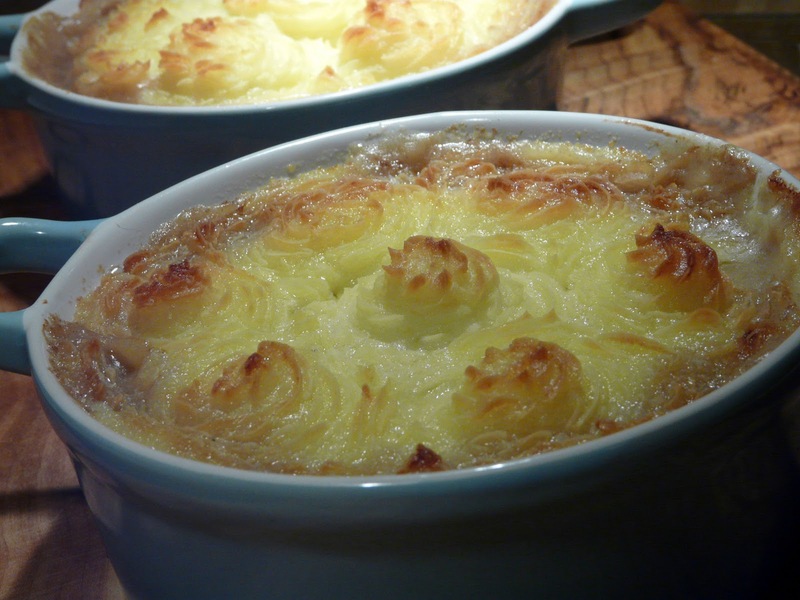 I love the way you have topped your Shepherd's Pie! Oh yeah baby...comfort food at its best. I want this and I want it now...even though we just finished dinner! I have never had this before. What a great winter food and a good way to use more of the hambuger we have in the freezer.